The must-attend event for the work truck industry. North America’s largest work truck event is your once-a-year chance to see all of the newest industry products. Go Power! exhibits in Booth #5758! 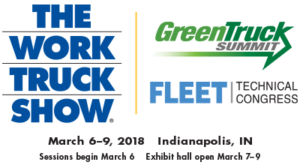 Come by March 7-9, 2018 to see how solar and mobile power inverters can save you and your fleet money. Suez is a leading environmental company providing water and waste recycling services to more than 7.5 million people in the US and Canada. With a company-wide commitment to innovation, SUEZ New Jersey Operations is affing To read the full article, click here.